Some 3,000 exhibitors will be attending K 2016 , the world’s premier trade show for plastics and rubber industry, which is taking place from October 19-26, 2016. All 19 halls of Düsseldorf’s fairgrounds will once again be fully occupied, according to the current registration situation, according to the organizer, Messe Düsseldorf. Registration for K 2016 will end on May 31, 2015. 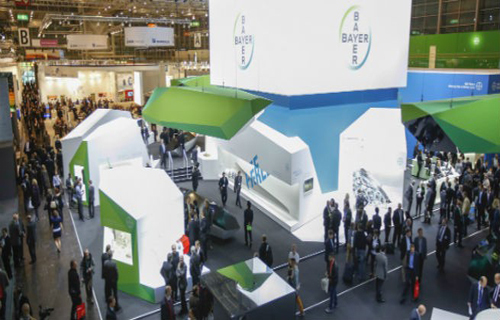 The presentations of exhibiting companies at K 2016 will be supplemented by a special show illustrating the potential of plastics and rubber for forward-looking applications. With reference to examples from different sectors, it shows the extent to which their diversified properties shape our lives today and the contributions that they can make in the solution of important everyday problems, said the organizer. The special show is being organized by the German plastics industry under the auspices of PlasticsEurope Deutschland e.V. and Messe Düsseldorf. Another highlight of the supporting program at K 2016 will be the Science Campus, the forum for research and teaching. The Science Campus provides a compact overview of the activities and findings of university and scientific organizations and helps to intensify dialogue between research and industry.